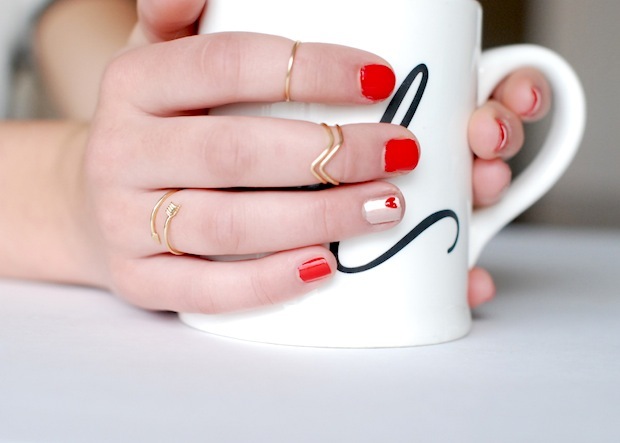 A petit valentine…what better way to incorporate the day of hearts than to paint a pretty little one on your nails. 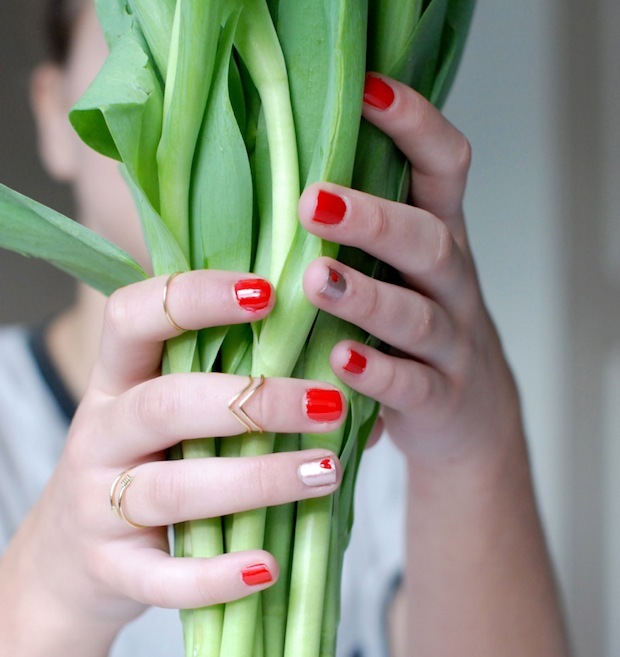 I love a brilliant red mani. It is classic. Here’s an easy little riff on the time honoured usual. 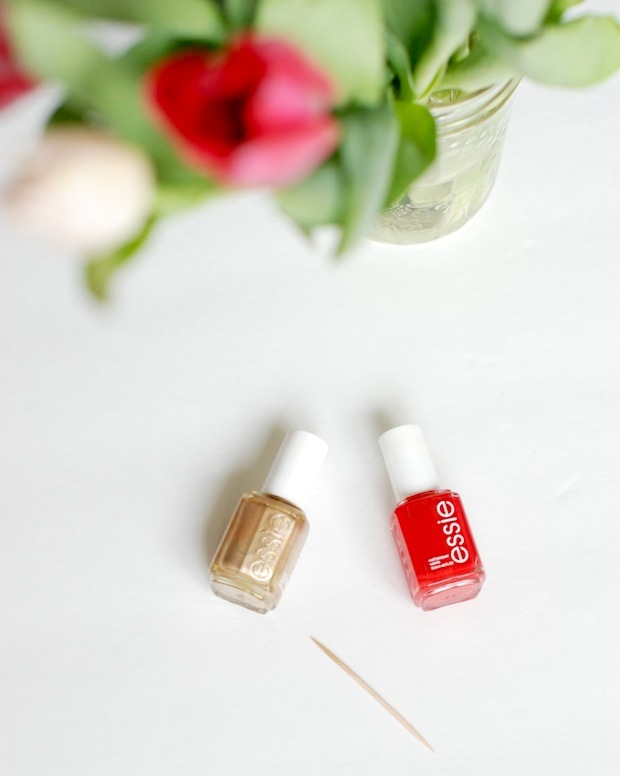 I chose my favourite red: Essie’s Snap Happy along with Essie’s Penny Talk, which is a flat type gold. A little red heart stands out well on this version of gold versus a glittery one. This mani is extremely easy to do…if i can do it, y’all can do it! 1. Use the brush to put a generous dip of nail polish onto a piece of paper towel. 2. Dip a toothpick into the nail polish and dot the nail and drag slightly downwards. This forms half of a heart. Dip a second time and place another dot to the left of the first one and drag to meet the bottom of the first painted line. Wait a couple of minutes before applying your top coat.